Bondi Beach is probably the most famous beach in Australia, but there are hundreds of other great beaches to visit that are equally, if not more stunning than some of the most famous beaches in Australia. Goolawah Beach is located in New South Wales (NSW) and it’s easily one of the most overlooked beaches along Australia’s famous Gold Coast. Goolawah Beach is about a half-hour drive north of Port Macquarie and it’s easily one of the prettiest beaches in Crescent Head. Goolawah Beach boasts a gorgeous stretch of golden sand where you can enjoy beach camping and four-wheel driving. Goolawah Beach also boasts nice breaks so it’s a fantastic spot for surfing without huge crowds. Lucky Bay is without question one of the nicest beaches in Australia you can visit. Lucky Bay boasts a 3-mile stretch of beautiful white sand and stunning turquoise clear waters, which are ideal for snorkeling. 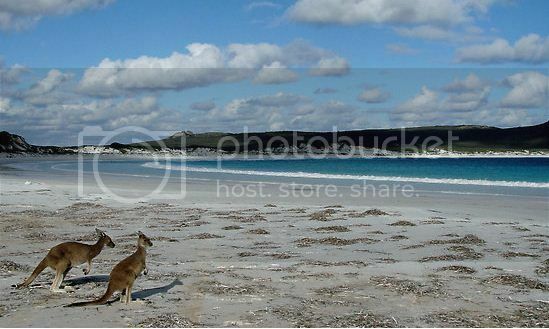 Lucky Bay is also located inside a national park (Cape Le Grand National Park in Western Australia) so, it’s a great place for beach camping, hiking, viewing kangaroos, and whale watching. Another great thing about Lucky Bay beach is that Esperance is just 30 minutes drive by car so, you’re never too far from the nearest town. Streets Beach is also one of the nicest beaches in Australia even though this beach is not natural. Streets Beach is man-made but the shoreline is made out of real sand beach and even boasts palm trees and other beautiful exotic plants on display. 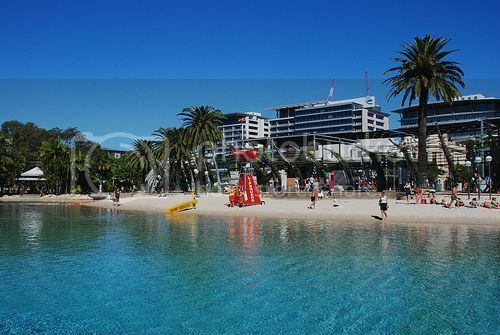 One of the coolest things that Streets Beach has going for is that it’s great location at the South Bank Parkland, which was the former of Brisbane’s World Expo. South Bank Parkland has been turned into an amazing place with lovely walking, grassy and themed areas, as well as shops, restaurants, and cool attractions such as a Ferris wheel (Wheel of Brisbane). 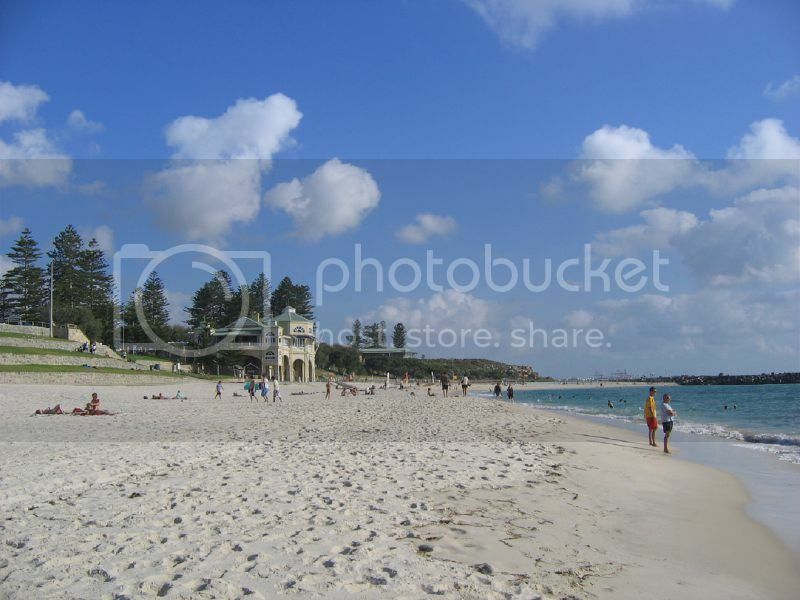 Cottesloe Beach is about 20 minutes drive from downtown Perth and it’s definitely one of best beaches in Australia. Cottesloe boasts a wide beach and it's a truly stunning beach with crystal clear waters and a family-friendly atmosphere. Being a beach town, Cottesloe Beach is not far from playgrounds, restaurants and hotel accommodation, which is nice if you're traveling with small kids. Manly Beach is easily one of the most popular surfing beaches in Australia and because of its close location to Sydney is a definite hit. 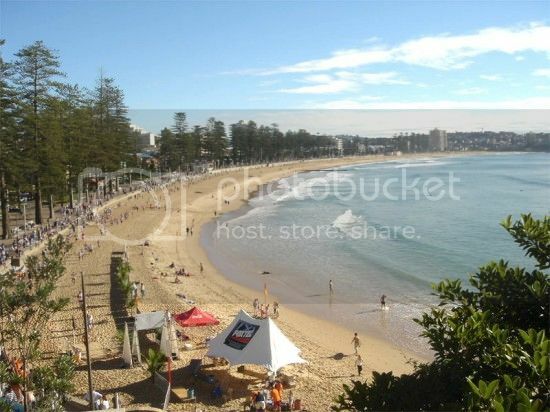 Manly Beach is located about 30 minutes drive north of Sydney and it’s another beautiful beach town where you can enjoy a fabulous time because of the many facilities like shops, restaurants and sitting areas. If you aren’t renting a car in Sydney, you can still get easily and quickly to Manly beach onboard one of Sydney’s ferries. Palm Cove Beach is located near Cairns Queensland (northern Australia) and it’s one of the nicest beaches in Australia because of its mile-long beach of lovely white sand and palm trees. In fact, Palm Cove Beach boasts such a Californian feel that it is sometimes compared to California’s Venice beach because of its luxury resorts, palm trees and upscale restaurants. Saying this, Palm Cove Beach does boast hostels and other lodging options to suit most budgets. 75 Mile Beach definitely boasts one of the coolest beach names, though this beach does live up to its name since 75 Mile Beach is about seventy-five miles long. 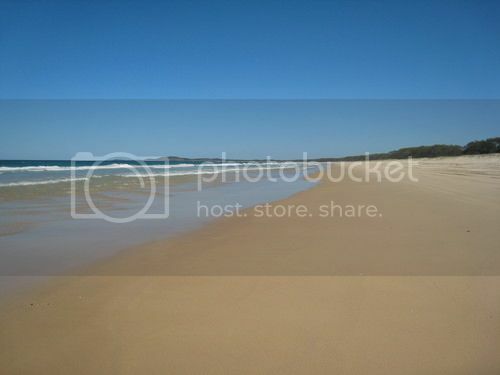 75 Mile Beach is one of the longest beaches in Queensland and it’s located along the southeast corner of the state (about 4 hours drive north of Brisbane). 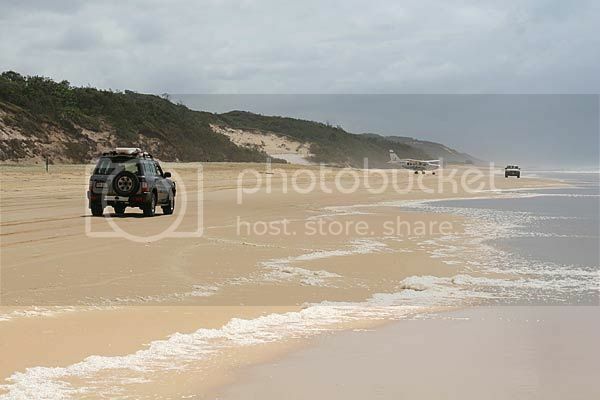 75 Mile Beach is without a doubt, one of the most pristine spots in Australia for viewing wildlife, and since this beach isn’t suitable for swimming, you can really get to appreciate the beach’s ruggedness and even get to do a bit of off-road driving and fishing.